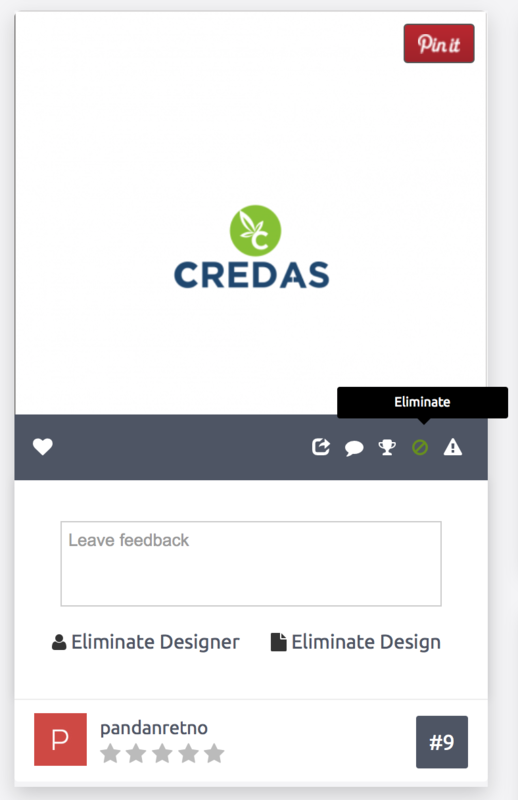 To eliminate a single design, go to your 'Entries' tab and click on the eliminate icon on any one of the designs of the designer you want to eliminate and select the 'Eliminate design' option. Follow the prompts to eliminate the design. Pro Tip: If you have eliminated a design by accident, you can reinstate it by clicking ‘Un-eliminate design’ button which will have replaced the ‘Eliminate design’ option in the same place. Keep in mind, the designer will still be able to submit more designs in the contest as you have only eliminated their one design. But always remember to give a feedback on why you are eliminating the design, it will help the designer to come up with something better.